This is a "Jeff Thomas" Wristwatch that I got as a kit, minus the tubes and wrist strap, when I got the opportunity last summer to buy two finished watches. It comes complete, minus the wrist straps and with NOS B4021 tubes, not the B7977's that Jeff used, from Sphere Research Corp. It was professionally assembled and works great but these tubes seem to draw more current then the small HV supply can deliver or they just need to be reconditioned. 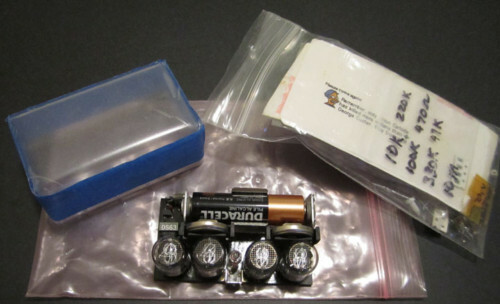 I have no time to spend on this project now, after all I have two beautiful watches with the B7977 tubes from Jeff. Make me an offer..... Buyer pays for shipping and will only ship within the U.S. and will only take PayPal and must be paid within 48 hours after sale. 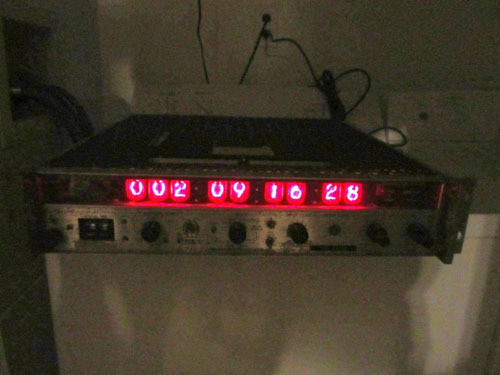 Vintage Datum Digital 9520 Nixie Tube clock Huge! 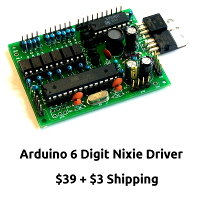 Here is a rare very large Datum 9520 digital Nixie Tube clock. The size is a standard 19" rack mount width, 10" in depth and 7" in height. 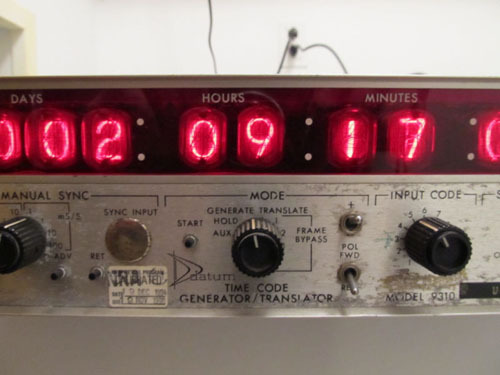 Nixie tube numerals are about2" high Clock works great but is unsettable. You have to start it at 00:00:01. I can find no way to set it. It is a secondary clock so evidently the setting capacity lies in another clock. Franklly if I could set it I wouldn't sell it. Of course you can start it a 00:00:01 manually and it shows the correct 24 hour time. I do not have the power plug, I am running it with 2 alligator clips. Takes a smaller than normal 3 pin plug. I heard that they might be available at Radio Shack but haven't checked.. No dead nixies as far as I can see...but then I have not watched it every hour for 24 hours but I have yet to see one not function correctly. Due to possible shipping damage I am selling the clock as is but it seems to be 100% functional now. Buyer to pay $20.00 for S&H. Hi, and thanks for looking! 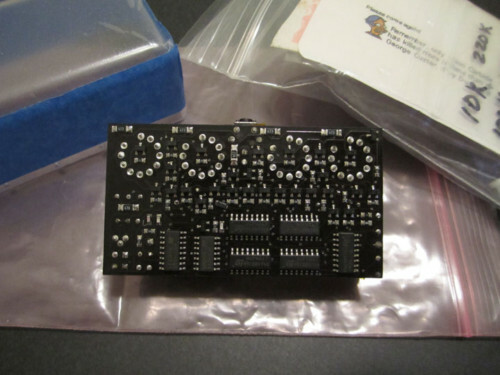 This auction is for a vintage Datum model 9310 time code generator. This is basically a piece of lab grade equipment from the early 1970's. It is rackmount, and you can use it as a really awesome clock! 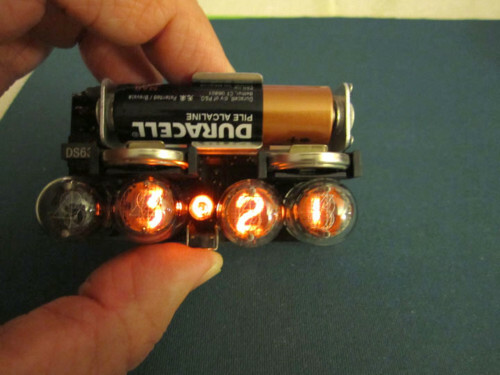 The entire front display is made of nixie tubes, and they all work. It displays in nine digits, Day, Hour, Min, and Second. Setting is with the little thumbwheel on the left side. It is a little beat up from years of use by the US Navy. Still have the US Navy tag on it. I have fitted it with a modern computer-style power cord. If you have any questions about this or my other auctions, please ask! This unit has been tested as a clock only, and it works well for that, and looks really awesome. The red filter over the front could be removed for a bare tube display look. If you have any questions, please ask! This auction is open to anyone anywhere. I ship with UPS or Fed Ex for large items and USPS for small items or overseas items, and we use calculated shipping. I will combine any auctions with small items at no extra charge. I prefer paypal. Nonpayers will be dealt with harshly. If you don't have the money, don't bid. If you have any questions about shipping or payment, please ask!